The launch date of the Google Nexus Prime has been confirmed for October 19, 2011 at 9:30 a.m. at the Hong Kong Convention & Exhibition Centre. 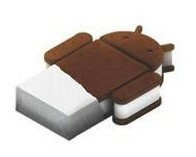 The Google Nexus Prime, called by some now, the Samsung Galaxy Nexus will be the first phone to installed with Google Android 4.0 operating system - Ice Cream Sandwich. A livestream will be available at: youtube/android.